Keep a running log of key projects worked on and results achieved. Include project objectives, metrics, challenges overcome, cross team collaboration and other notable feats. Record details soon after the project is complete. This will save you the trouble of sifting through files and leaning on your memory. You will reduce the risk of forgetting something that might be worth calling out and the time right before the review will now be available for fine tuning and reflection. This is especially true for new employees. Most large corporations have a documented review process as well as templates for development plans and other career related resources. Managers may not necessarily walk you through everything you need to know well before the review. The onus is on you. Read, talk to your manager, talk to HR and talk to your peers. Do this weeks or even months before the review, so you are not wasting review time getting up to speed on the process. Arming yourself with resources like a personal development plan template will help you express yourself more clearly and build your case. While a review is your time to talk about your achievements over the past year, note that this is not the only objective. The natural tendency is to talk about what has passed in great detail and rush through the career growth and development conversation toward the end. Set aside time to think through what is your long term career goal, how does it fit in with what you are currently doing, what are your short to medium term goals – do you want to affect incremental change or shift to doing something completely different. While you might think that you have it all figured out in your head, putting it down on paper brings forth clarity. While talking about your career aspirations and development goals is key – making it actionable is what will set you on the path forward. Look for or create opportunities that are aligned with your goals. It could be an opportunity to learn a new skill, manage a team or work with a vendor. Large corporations offer such opportunities in the form of job rotation and temporary assignments. It could even be training courses, workshops, webinars and the like that you’d like to pursue. Translating your goals into actionable tasks positions you as someone who is proactive and committed to growing one’s career within the company. Finally, a rehearsal of the conversation you are likely to have with your manager rounds off the preparation process. While the actual conversation may be informal, a rehearsal helps you hone your pitch, pick the right choice of words, substantiate your points with examples and anticipate questions. As is the case with practicing presentations, saying it out loud makes a difference. And if you feel uncomfortable or awkward just talking to yourself, enlist a friend to help. 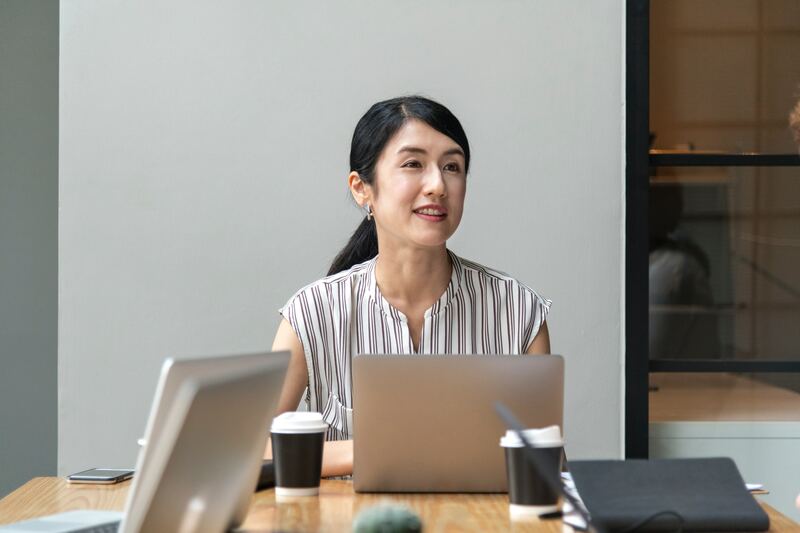 While this may seem a rather laborious process for an annual or even a mid-year performance review, think about it as an opportunity to reflect and advance. It is incredible how many hours we spend on a quarterly business review presentation or in planning an event and how little we invest in preparing for reviews – something that is bound to have an impact on how we are perceived and rewarded. Marketing & communications professional, writer and yoga practitioner.